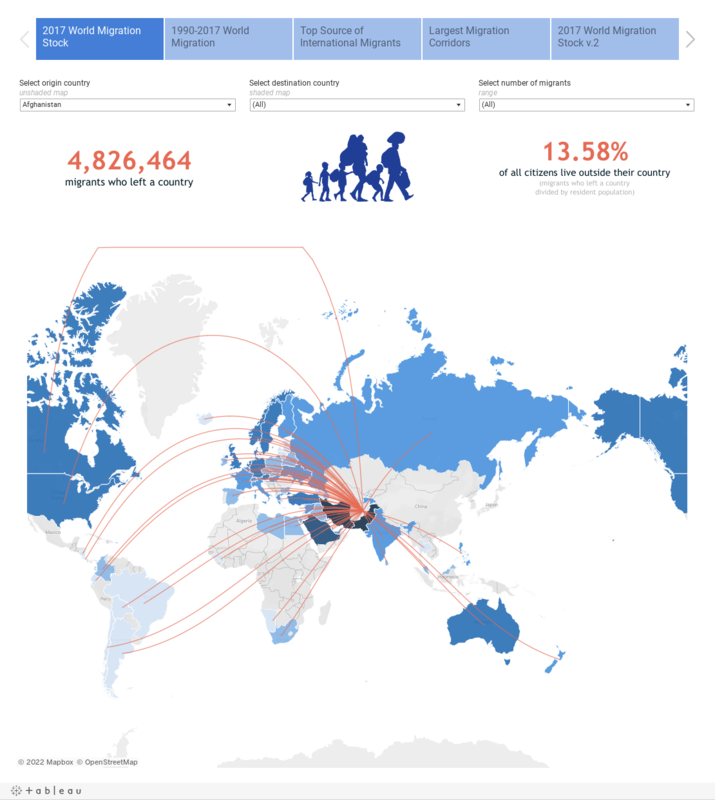 The GLOBAL MIGRATION STOCK interactive app tracks migrants around the world. This application is now being hosted by IOM.int. It is endlessly fascinating to explore where we're from. The underlying data for the map was published by the UN DESA in 2017. United Nations, Department of Economic and Social Affairs (2017). Trends in International Migrant Stock: Migrants by Destination and Origin (United Nations database, POP/DB/MIG/Stock/Rev.2017).